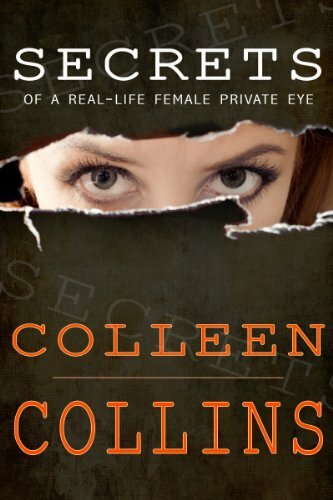 Secrets of a Real-Life Female Private Eye, by Colleen Collins, a nonfiction, no-holes-barred, modern-day story about life in the female PI fast lane. Has remained on Amazon bestseller lists since published in august 2013! "Colleen Collins's chronicle about her investigative career is completely authentic. She brings her real-world P.I. stories to your e-reader straight from the streets!" "SECRETS OF A REAL-LIFE FEMALE PRIVATE EYE features [Colleen's] honest, engaging voice and takes full advantage of the interactivity ebooks allow. Part memoir, part reference, SECRETS delivers Colleen's firsthand experience and looks at the latest resources and equipment private investigators use."